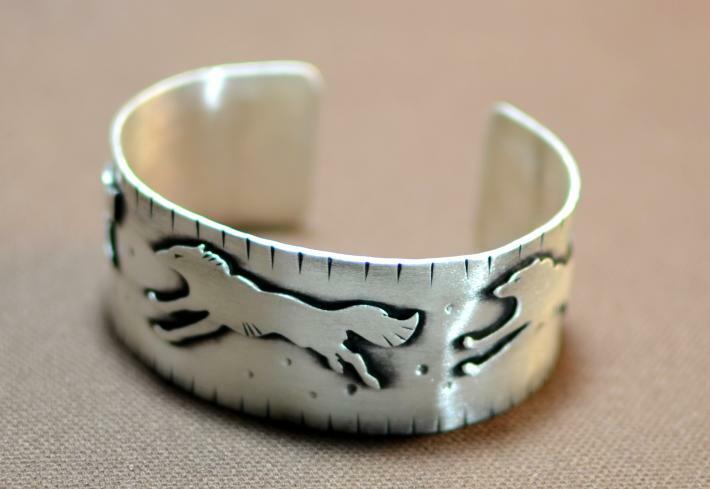 Catching the exhilaration of wolves on the hunt, this bracelet features handcrafted wolves that were sawed from 20 gauge sterling silver using a jewelry saw and soldered to a solid 18 gauge handmade sterling silver base. 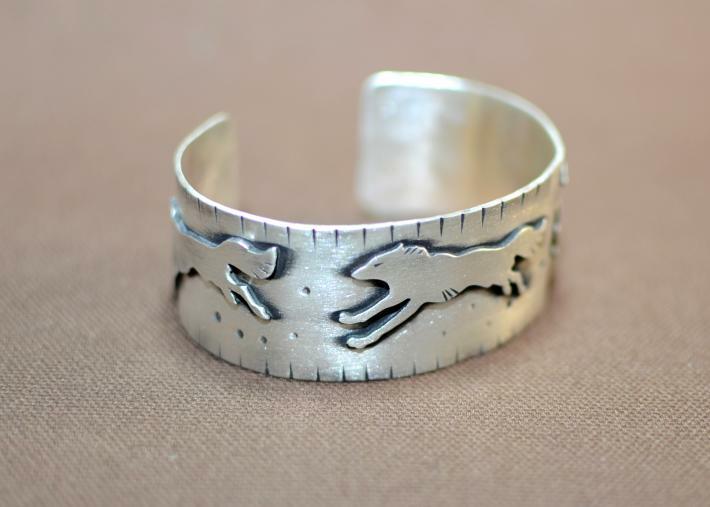 The finished brushed patina accented highlights and a chased pattern along the edges add contrast, which focuses attention on the wolves shrouded in a vibrant silver glow. 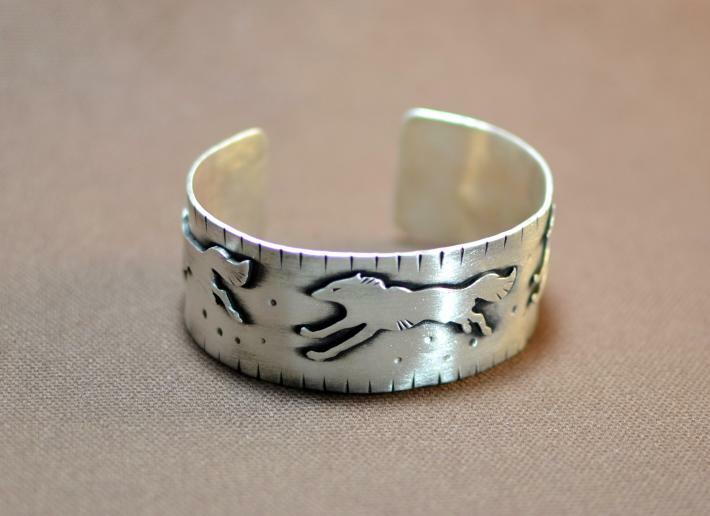 Starting with a 6.5 inch long by 1 inch wide rectangular base sawed from an 18 gauge sterling silver sheet, the handcrafted wolves were soldered to the base rectangle using an acetylene torch and high flow sterling silver solder. 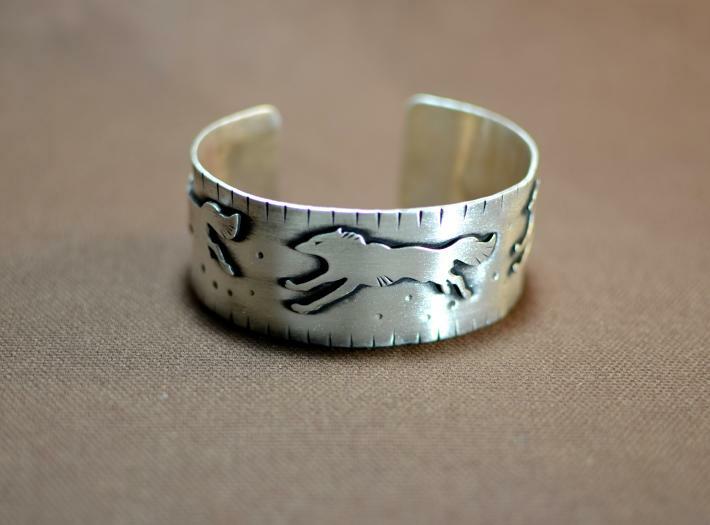 Hammered into the sterling silver with a small common chasing tool, the grooved design serves as a frame around the running wolves. The flat band with the soldered components was carefully shaped with a nylon mallet into a perfect bracelet over a wooden mandrel. 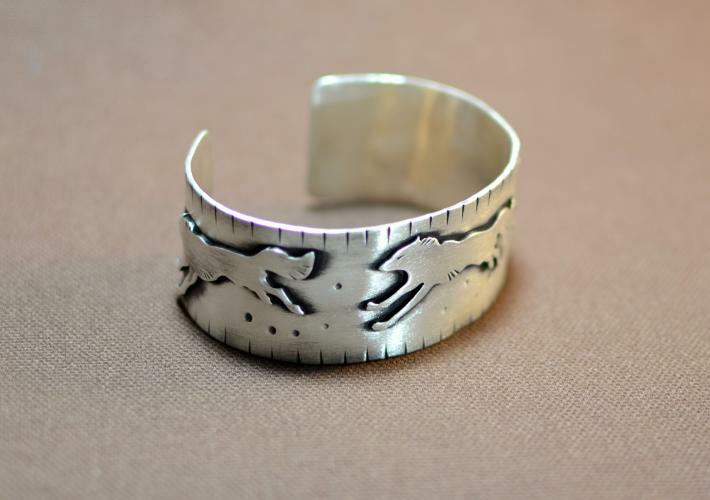 After removing the fire scale, rounding the end tabs, and filing the edges, a patina was applied to the sterling silver and brushed to create subtle grey tones in the back ground, darken the grooves, and enhance the fine details.